103 -- -- Alco 69593 S1 10/41 . 203-204 68-69 (2nd) --, 83 8872-73 GP7 3/50 #68 went to L&N 388 > MeC 592 > ST 12 > NAIX 592. 205-208 70-73 83-85(2nd) 8874-8877 GP7 3/50 Went to L&N 389-92 > L&N 2200-01, 2204, 2206 > L&N 2370, 2372=73, -- > SBD 4807-08, --, 626. 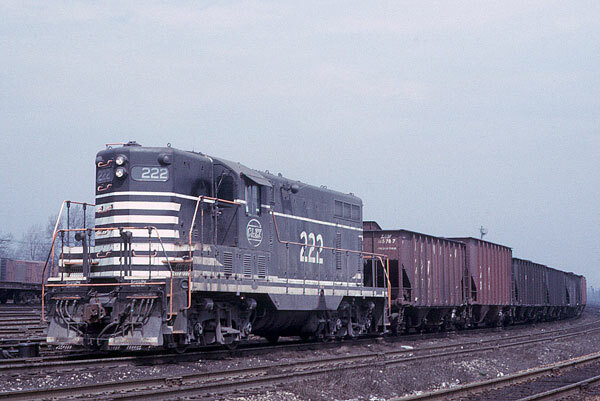 209-210 74-75 -- 8878-7 GP7 3/50 Went to L&N 393-94; sold to MeC 393 / 593 and Amtrak 780 later BRW 780. 221 (2nd) 86 - 24753 GP9M 8/58 . 223-224 88-89 Same 13266-67 GP7 1/51 . 225-226 90-91 Same 13541-42 GP7 1/51 . 227-228 CHTT 82-93 92-93 13264-65 GP7 12/50, 1/51 . 1200-1205 -- -- 6018-21, 6004-05 F3A 2/48 . 1502 751B 934B 7852 F3B 11/48 . 1503-1504 752B-753B 935B-936B 6002-03 F3B 12/48 . 1570-1574 -- -- EMD GP15-1 . 3150-3163 -- -- EMD SD40-2 . * * Builder Numbers are EMD unless otherwise noted.